The Raleigh-Clement Cyclocross Team was spread across the globe this weekend, with races in both Europe and the U.S. 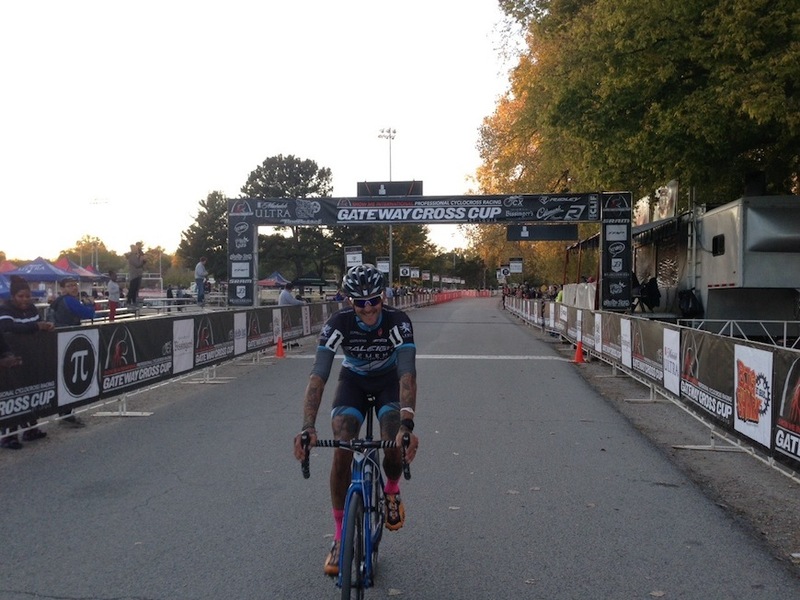 Team leader Ben Berden notched back-to-back wins in St. Louis, Missouri at the two-day Gateway Cross Cup, an event he also won last year. On a dry and fast course that favored drafting and made breakaways difficult, Berden executed a last-lap attack to win under the lights in the Saturday night race. On Sunday, he changed his tactics and escaped midway through the race for a long solo victory. Zach McDonald of Team Rapha Focus was second both days. Berden's success helped him gain ground in two different season-long points competitions. 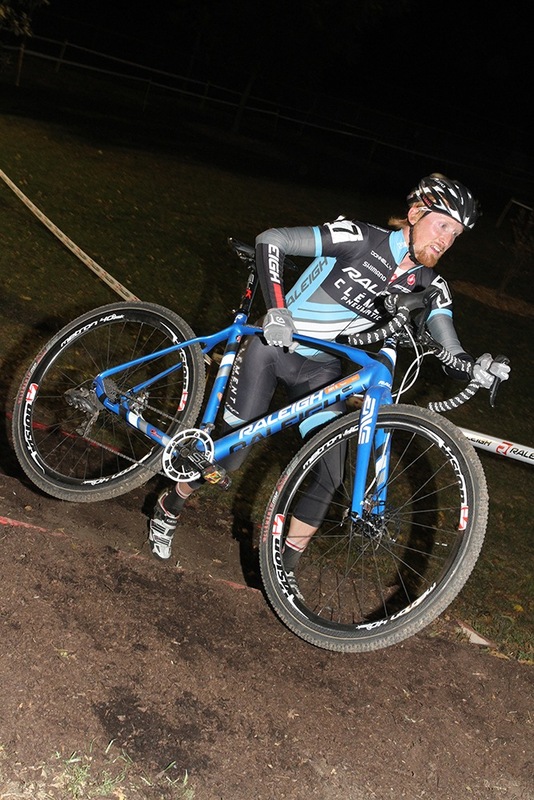 With his win on Saturday night, he took the lead in the Cross After Dark series, a four-race collection of night races in which Berden is the defending champion. 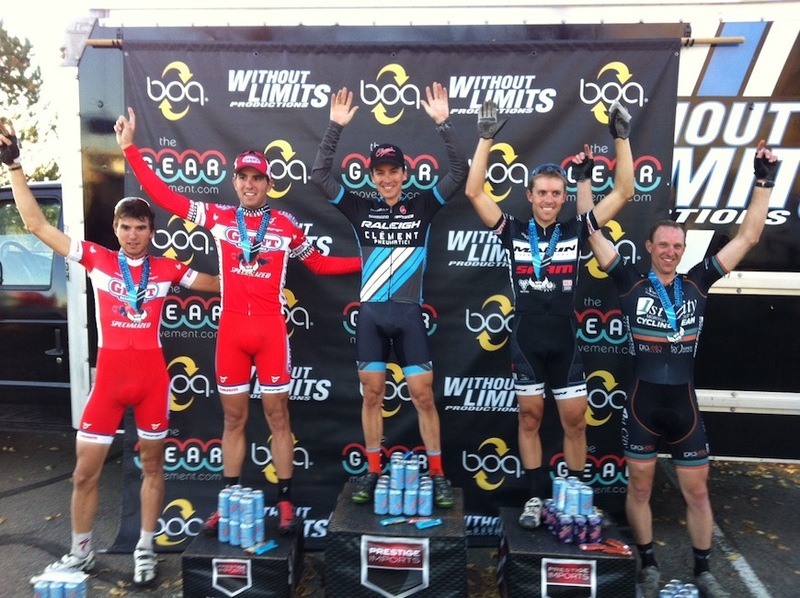 Berden also moved up to second place in the US Pro CX series behind Jeremy Powers who took the weekend off. 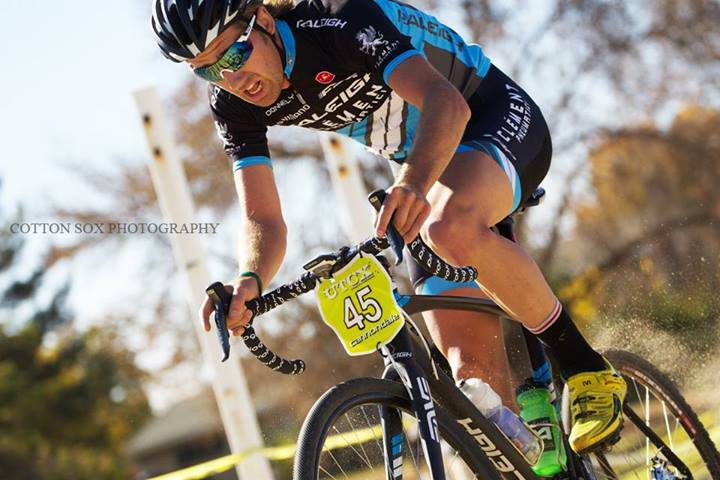 Teammate Craig Etheridge also toed the line in St. Louis, scoring yet another win in the single speed category on Saturday and doubling up to finish in the top 20 both days in the Elite race. In Europe, team member Caroline Mani raced in round two of the UCI World Cup in Tabor, Czech Republic. While a bit removed from the well-known 'cross hotbeds of northern Europe, the Czech Republic has a long history of supporting cyclocross and boasts an impressive list of champion riders. Mani finished in 17th, her second consecutive top 20 World Cup result. American Katie Compton took the win. 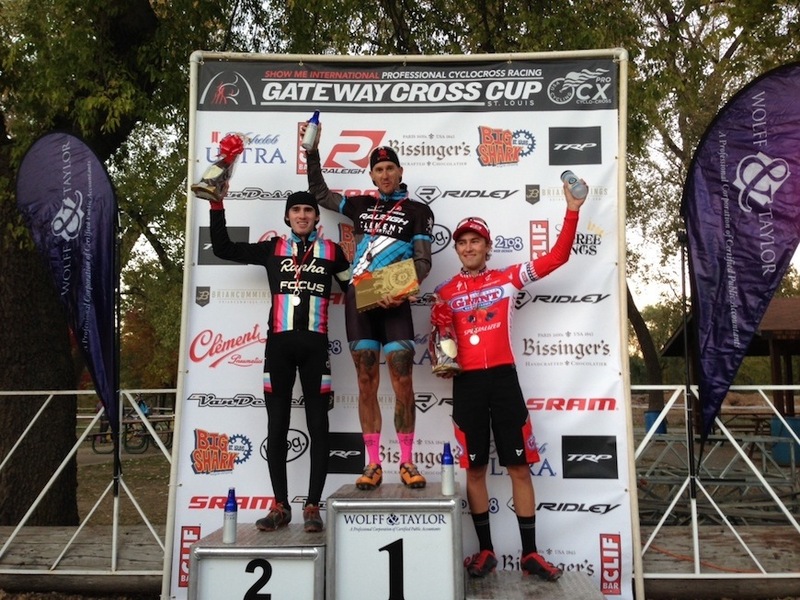 Allen Krughoff on the top step in Longmont, Colorado. Closer to home, Colorado's Allen Krughoff made a bold late-race pass to win the Cyclo-X race in Longmont, Colorado, part of the Colorado Cross Cup. After bouncing coast-to-coast on the professional circuit all season, Krughoff was happy to take a win at home. A fan captured Krughoff's winning move over the planks ahead of U23 National Champion Yannick Eckmann in this perfectly timed video just 200 meters from the finish. Finally, Jamey Driscoll, who recently moved from Vermont to Park City, Utah, won round five of the Utah Cyclocross Series outside Salt Lake City. The Raleigh-Clement Team will reunite next weekend at the Cincy3 Cyclocross Festival, a three-day string of races in the Ohio Valley that traditionally draws a top-level field. Following that, the pros head to Louisville, Kentucky for two days of racing at the site of last season's World Championships.